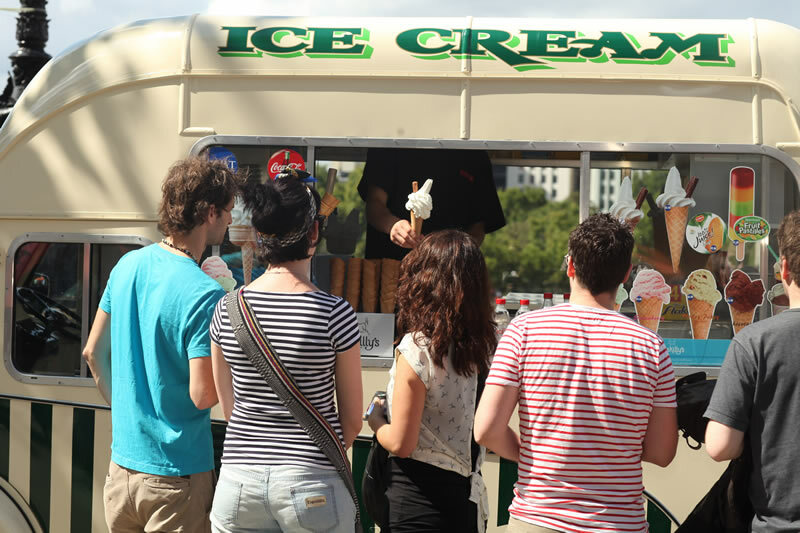 No outdoor event is complete without an ice cream concession. 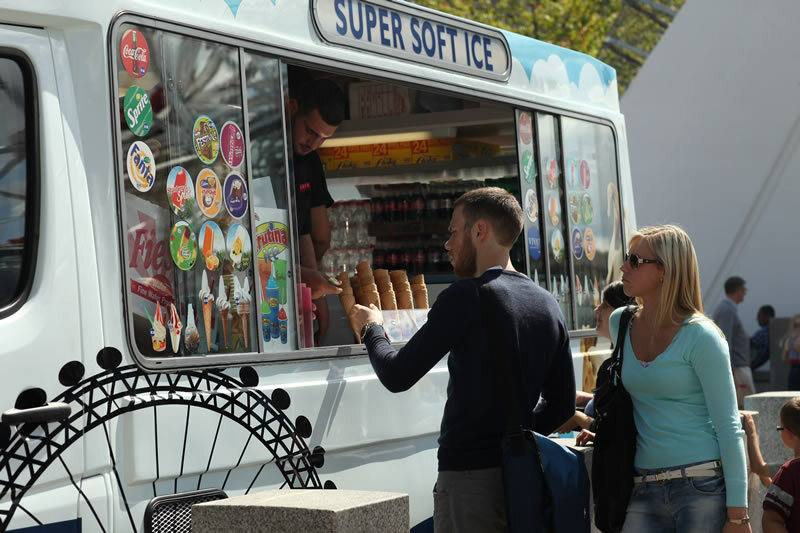 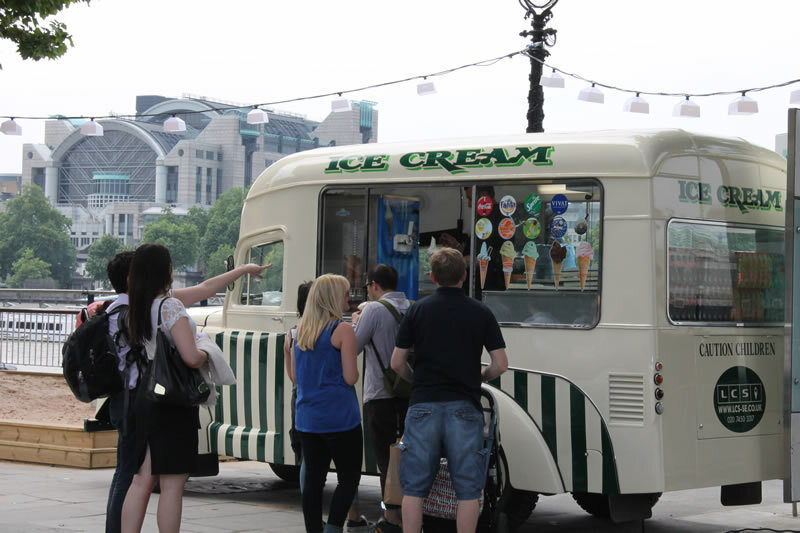 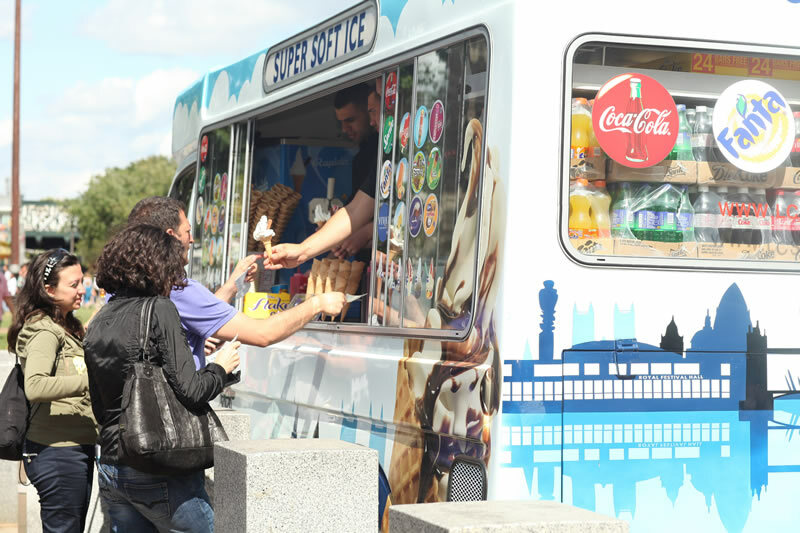 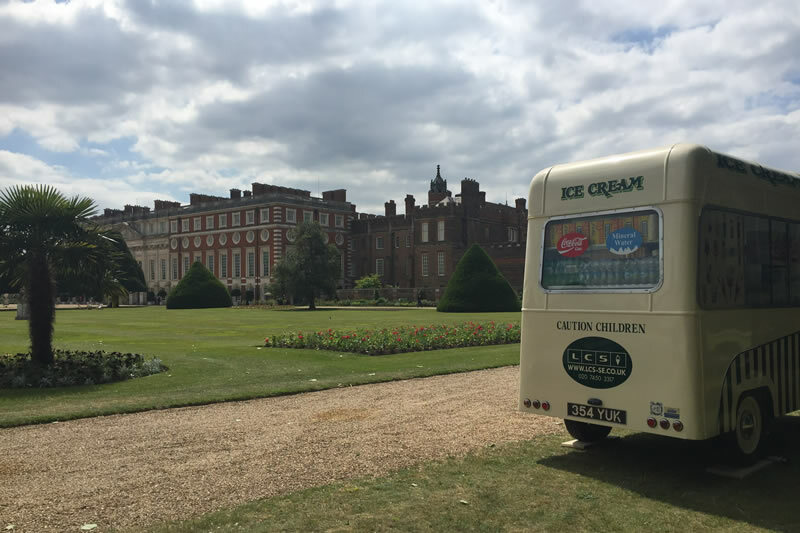 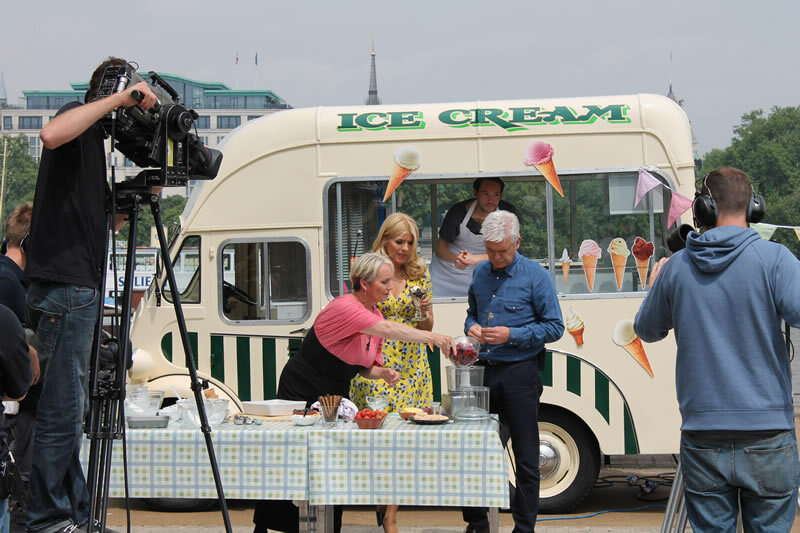 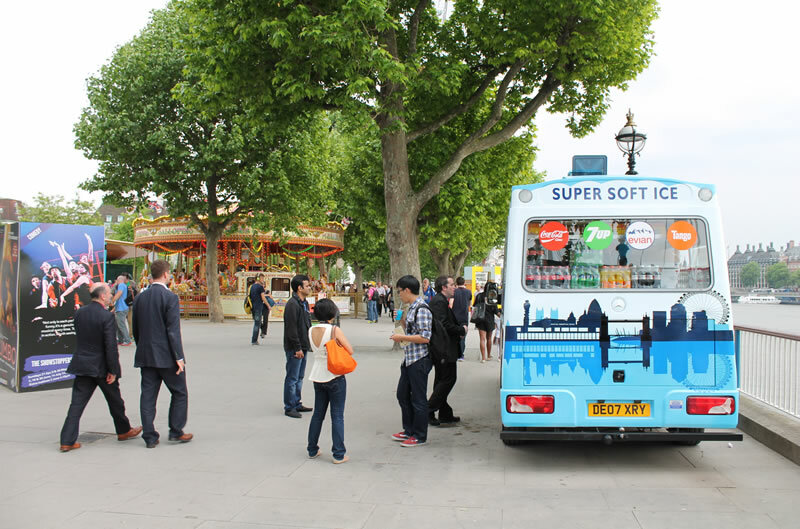 The iconic British Ice cream van is known throughout the world as the epitome of summer. 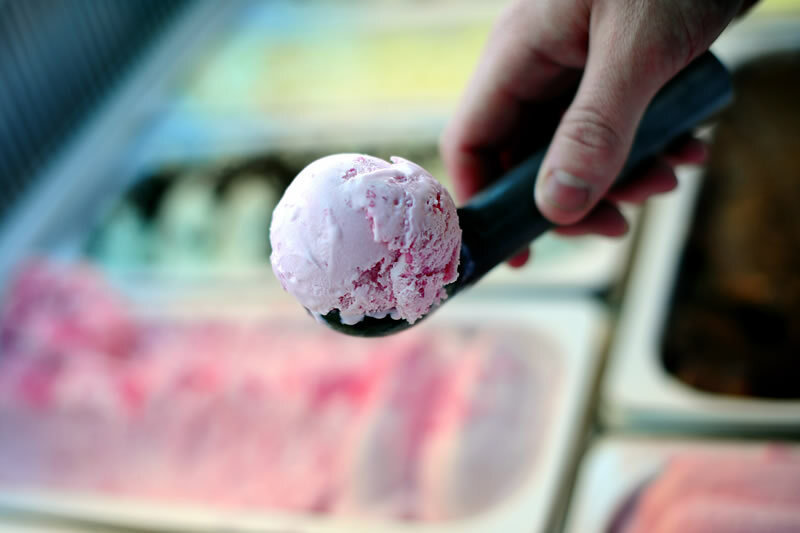 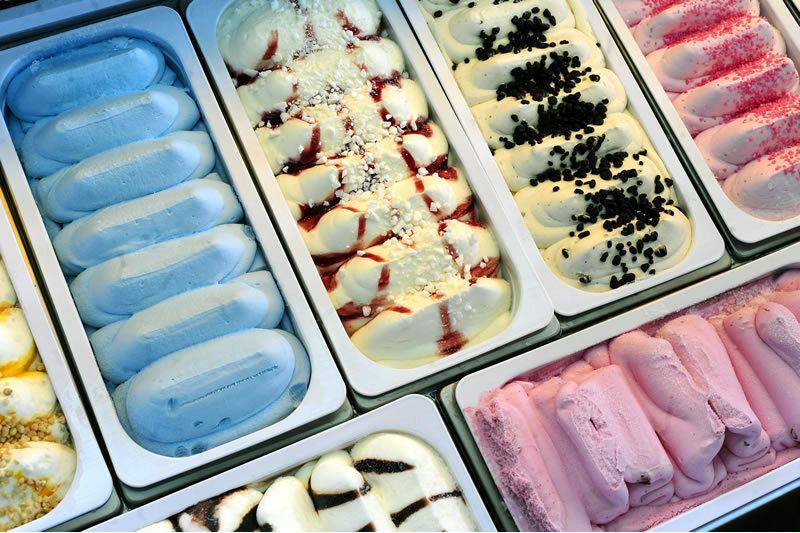 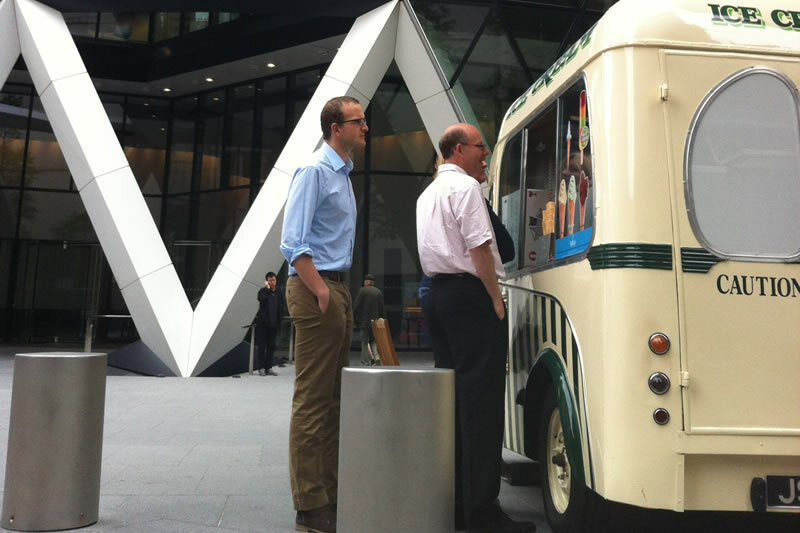 Serving up delicious scoops, lollies and soft ice cream to one and all. 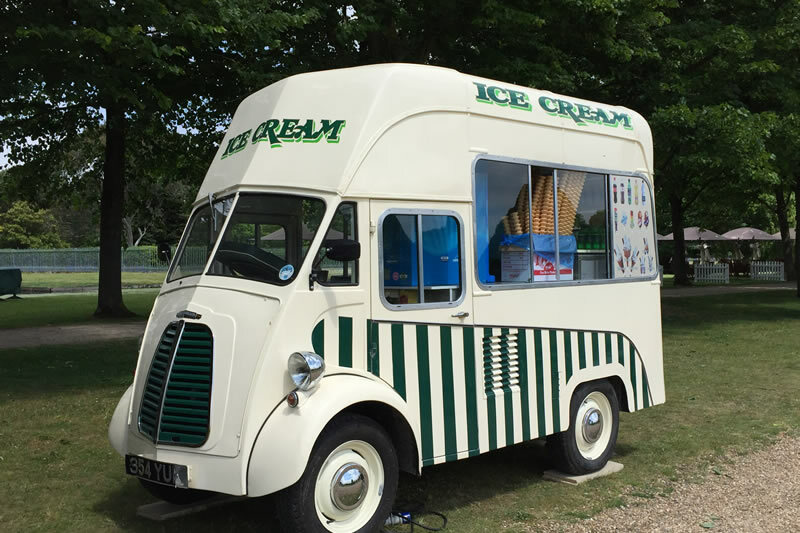 We have three different types of ice cream vans in our fleet, modern, vintage and site specific. 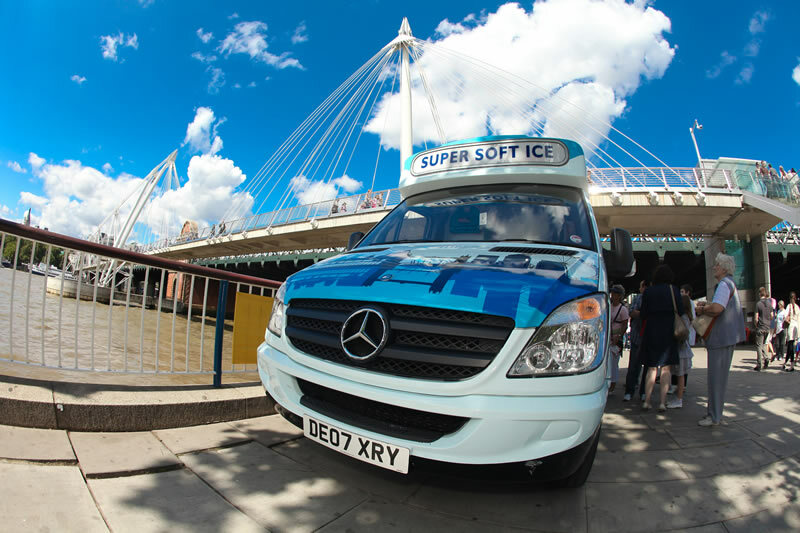 All vans are company liveried and site specific vans are fitted with custom fit graphics in line with the onsite requirements. 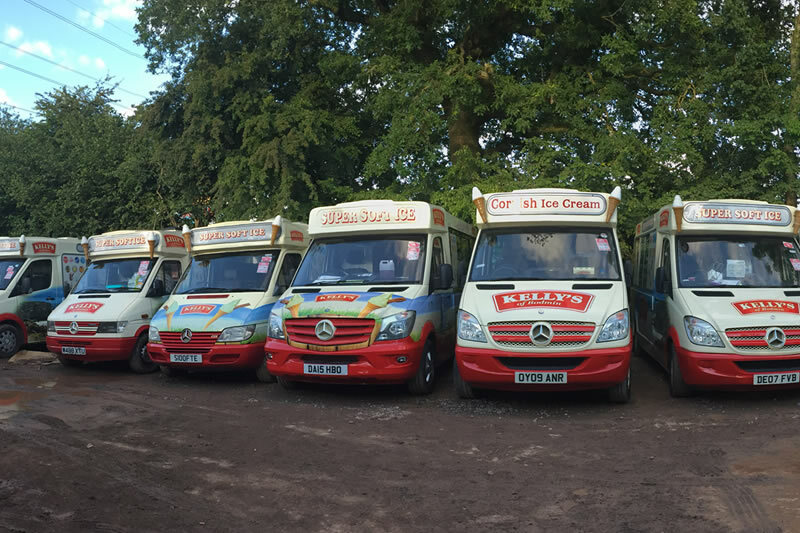 LCS currently operate a fleet of 15 modern Kelly’s liveried ice cream vans. 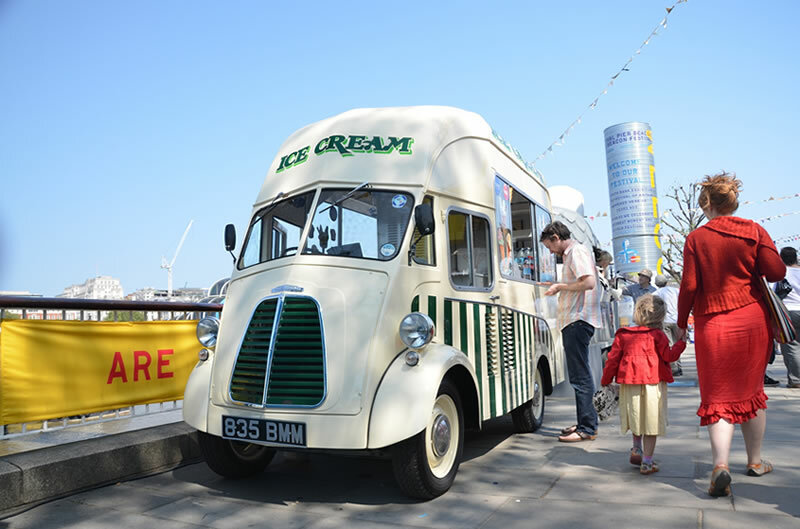 They rolled out in 2012 upon our partnering with Kelly’s of Cornwall. 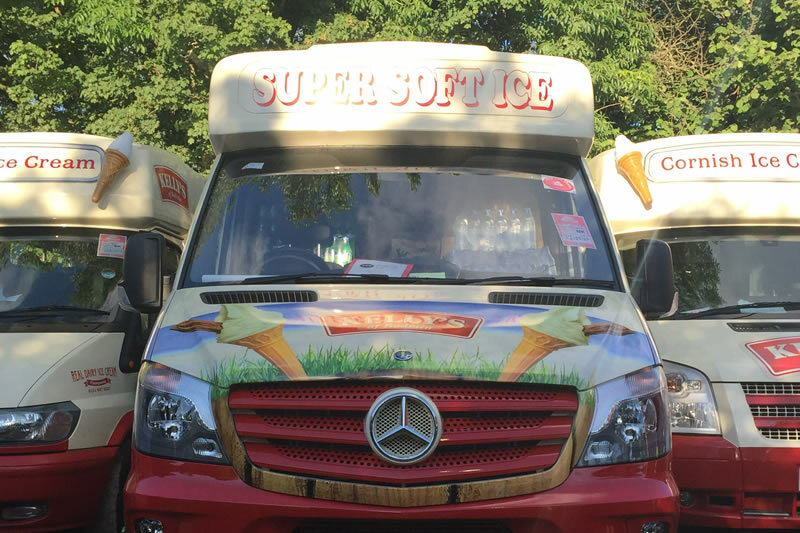 The fleet is made up of modern Mercedes sprinter vans that are built to the highest specification. 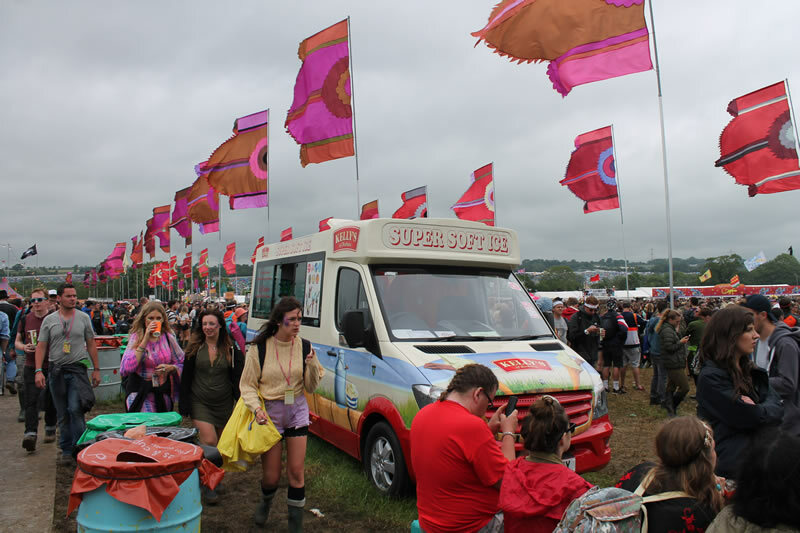 All the vans are fitted with the latest dispensing machines that are capable of high output to meet the demands of large scale events. 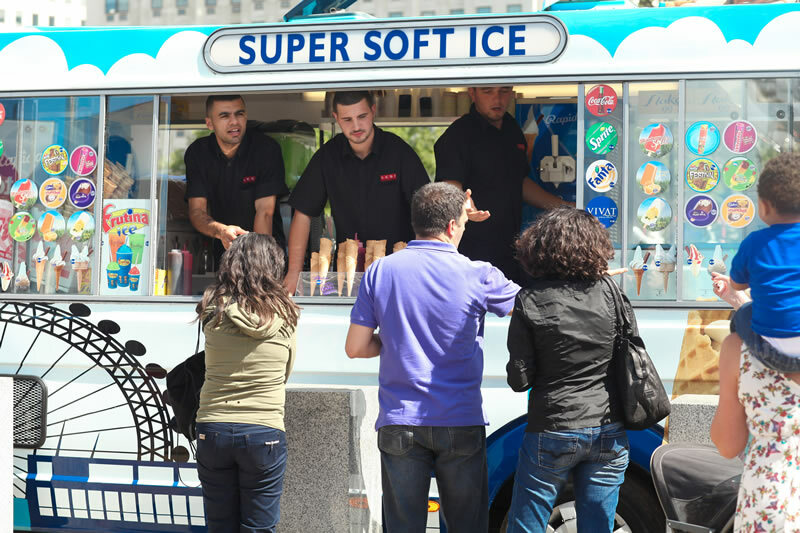 They can all run independently from their own internal power packs or alternatively they can be powered from mains or generator power. 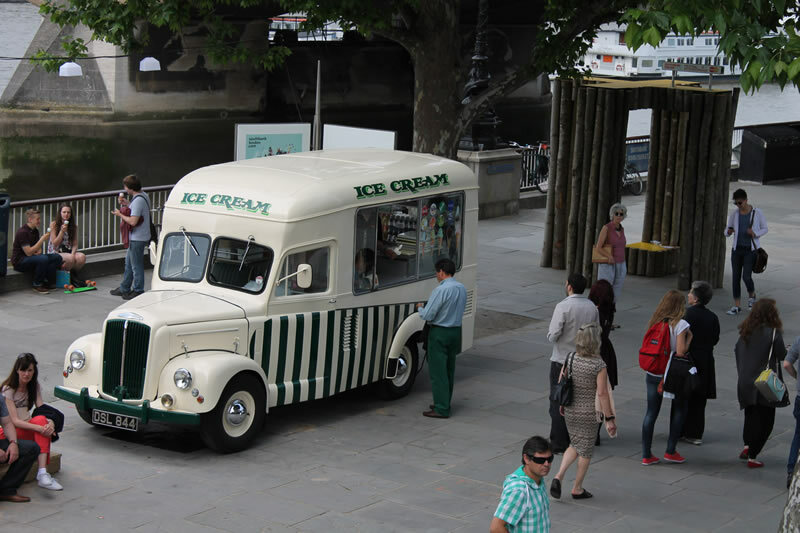 We acquired our first antique Morris J type van in September 2010 from a farmer on the outskirts of Glastonbury. 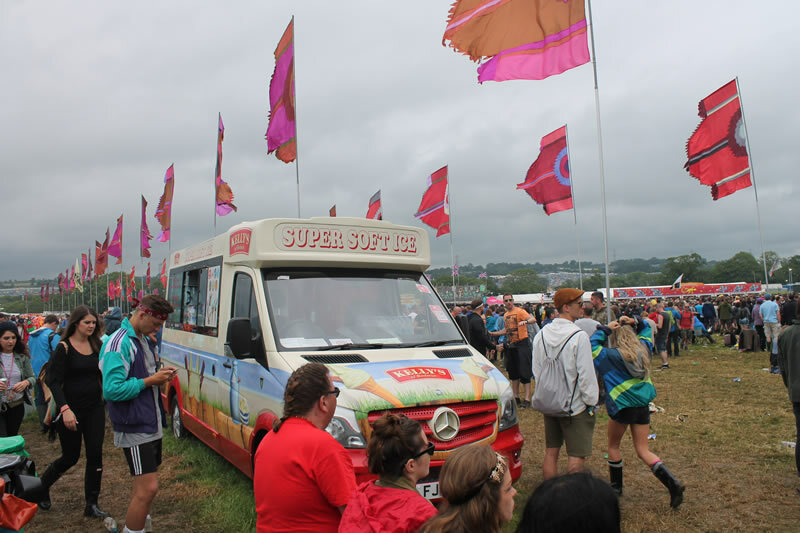 At the time it was just an old, rusty chassis and was actually being used as a chicken pen. 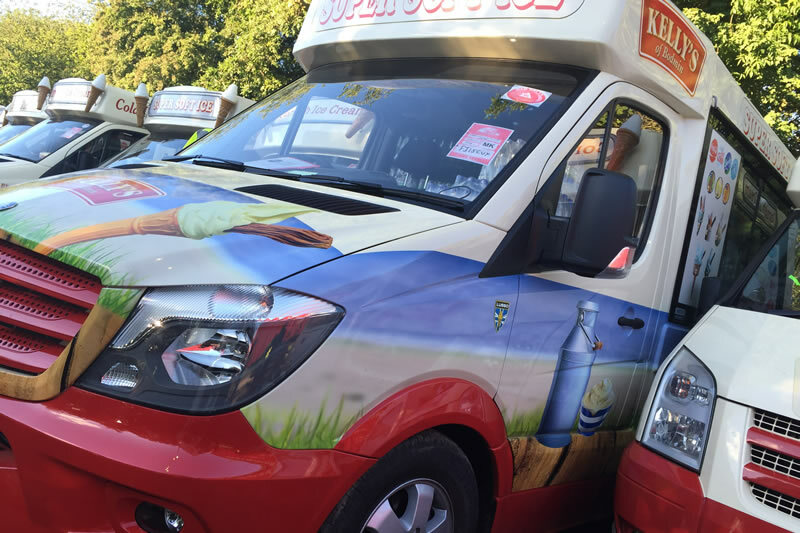 The van was sent away for some TLC at our friends Whitby Morrison in Crewe. 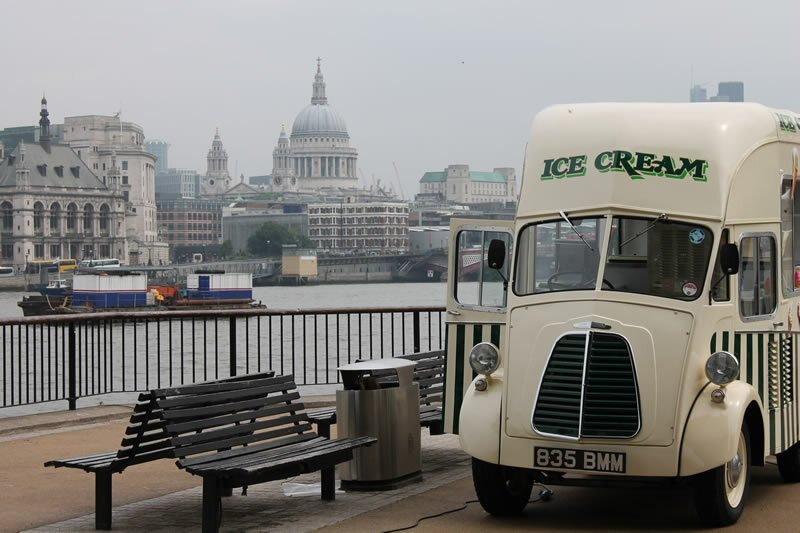 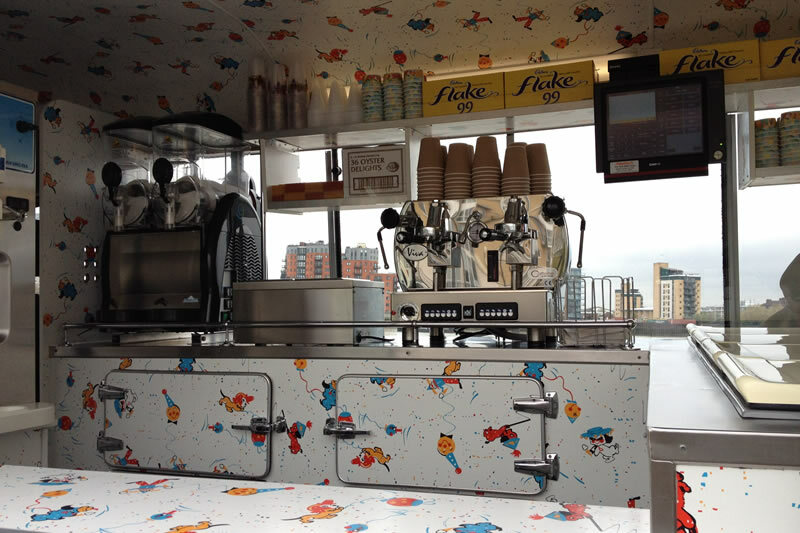 Upon its completion in early 2011, the van became an instant hit with visitors at its new home along the Southbank. 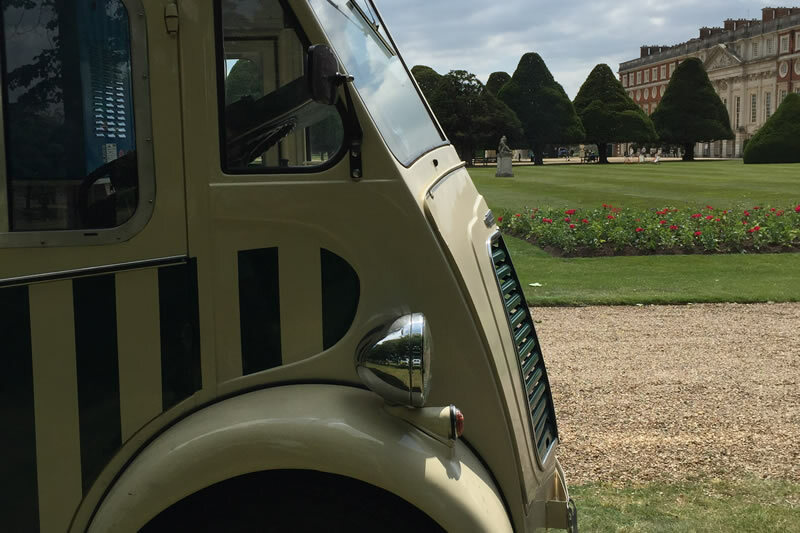 Since then we have invested in further vans bringing our antique fleet up to 5. 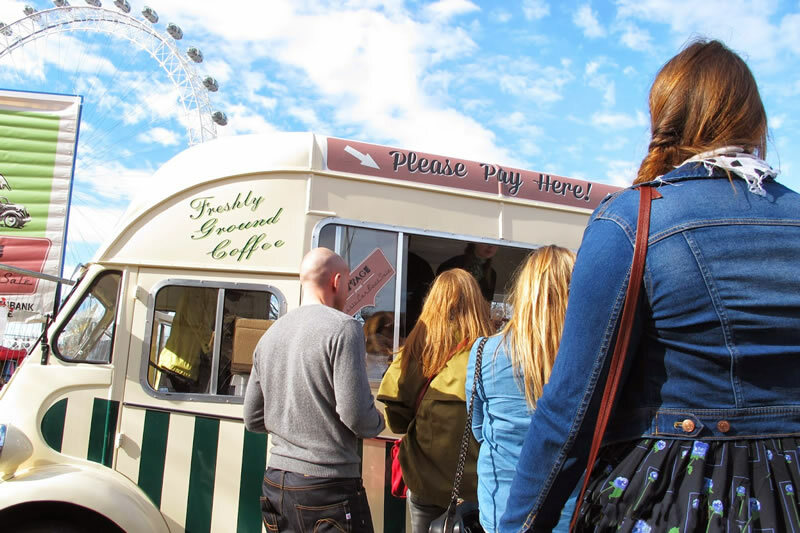 The vans work sites and festivals and can also be found along the Southbank in the summer months.